You can easily bait a wasp trap with a few items you probably already have in your refrigerator. 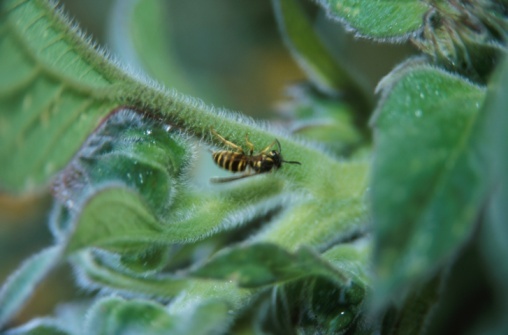 The type of bait that works best depends on the season and changing needs of the wasps. Use a few specific food items to attract and trap those pests so that you and your kids can play in the yard carefree. In early spring, use partially cooked hamburger meat for your trap. At this time, wasps set up nests to lay eggs and will be in search of high protein foods. This time of year is advantageous for traps as you might catch a queen. Mash grapes or cut up other types of fruit to release the sweet aroma and place inside of the trap. Pour root beer into a small container and place inside of your wasp trap. Use a combination of bait. Combine mashed grapes with a bit of sweet liquid to create an absolutely delectable aroma the wasps can't refuse.